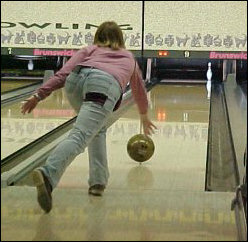 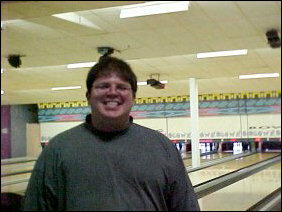 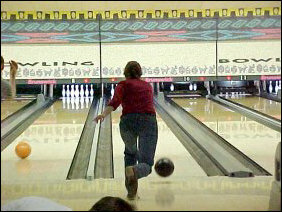 Gotta love PCM… first we go to the Artful Dodger, and now bowling. 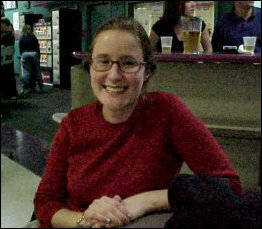 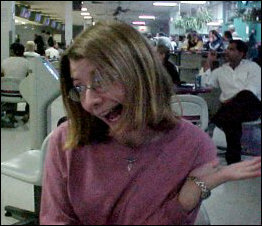 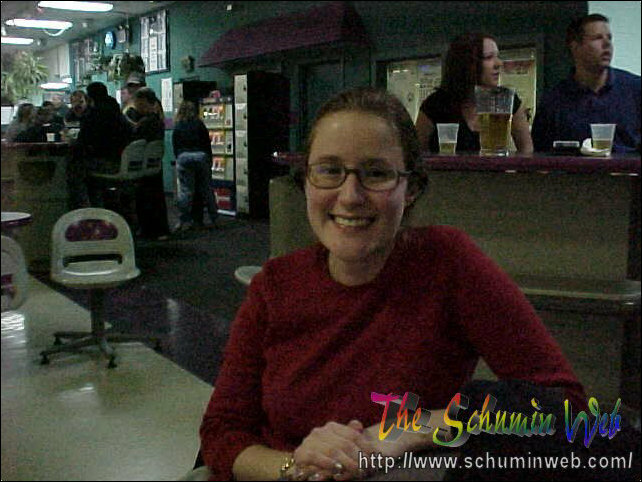 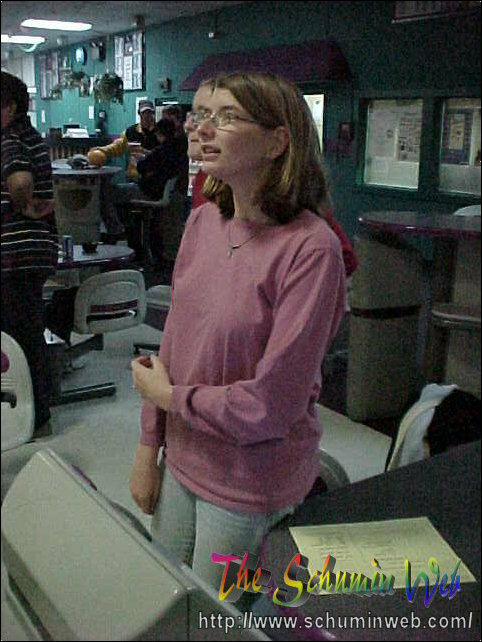 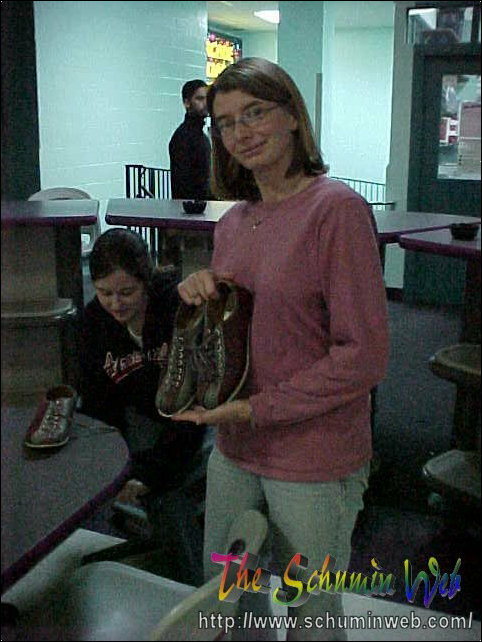 This night of bowling with Amanda, Laura Jane, and Heather (Scott had to work) was a lot of fun, and made everyone realize that yes, you can look fashionable in ugly shoes. 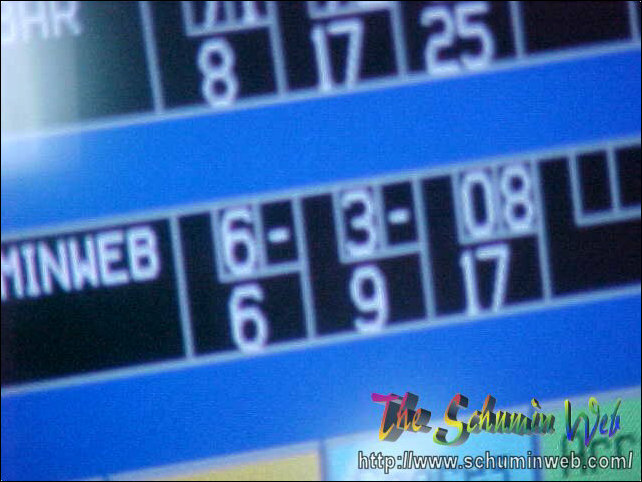 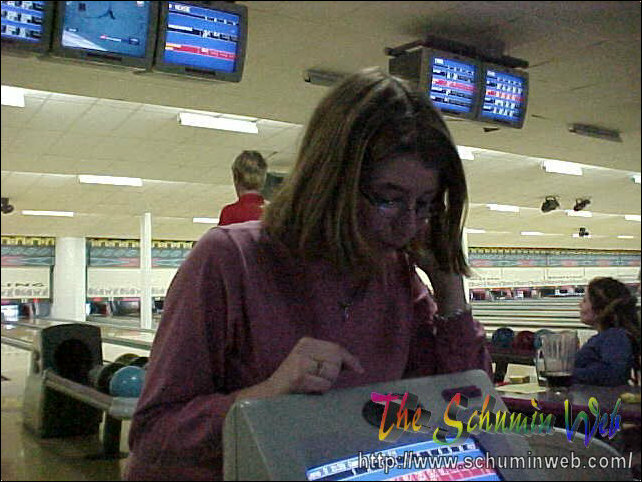 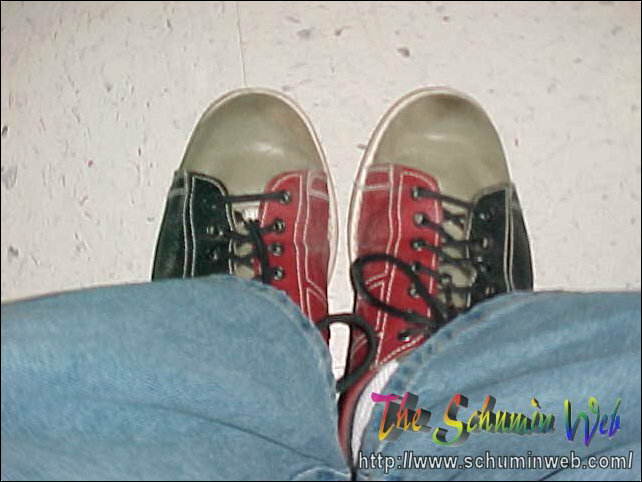 In fact, we were all about to walk out of there wearing our bowling shoes at the end of our game and leave our real shoes – until I reminded them that we had to turn in the bowling shoes. 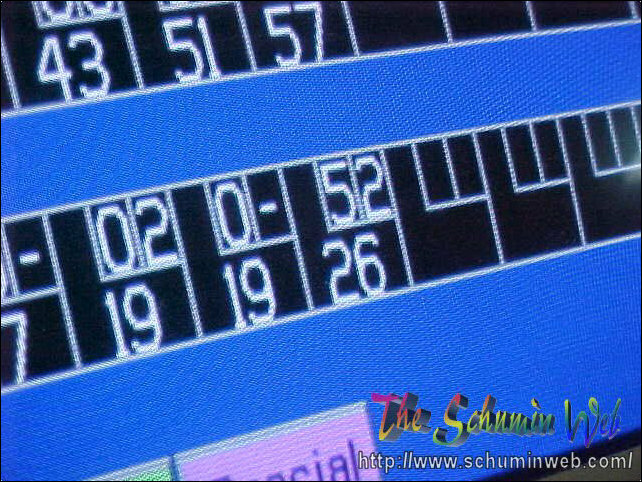 Still, we did pretty well. 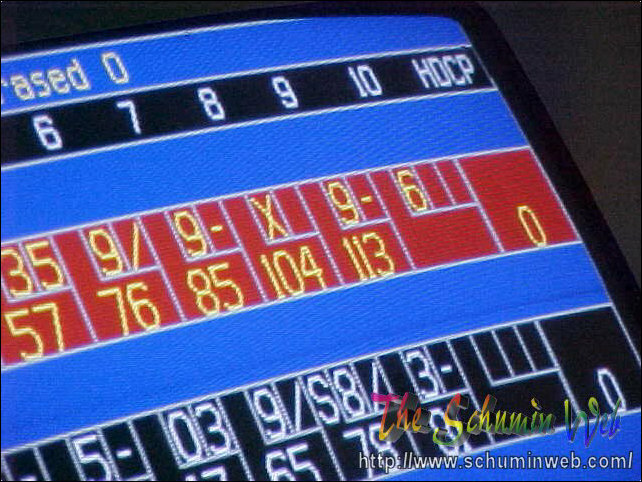 My performance wasn’t too hot for most of the game due to a too-light ball (I switched to a heavier ball midway through the game and did a lot better). 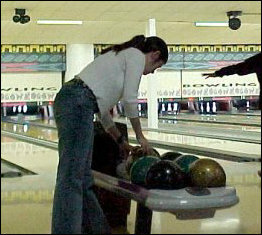 A lot of fun was had by all, though, and here’s the photographic evidence to prove it! 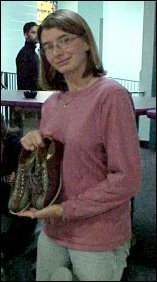 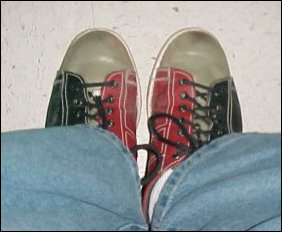 Bowling shoes… as Laura Jane holds up (above) and that I sport on my feet (below) these shoes are indeed as ugly as they look. Continuing on, Amanda makes another shot. 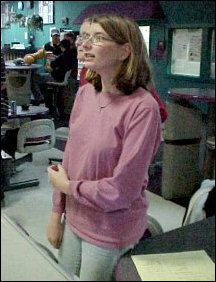 This was one of her best games ever, as was the same for Laura Jane. 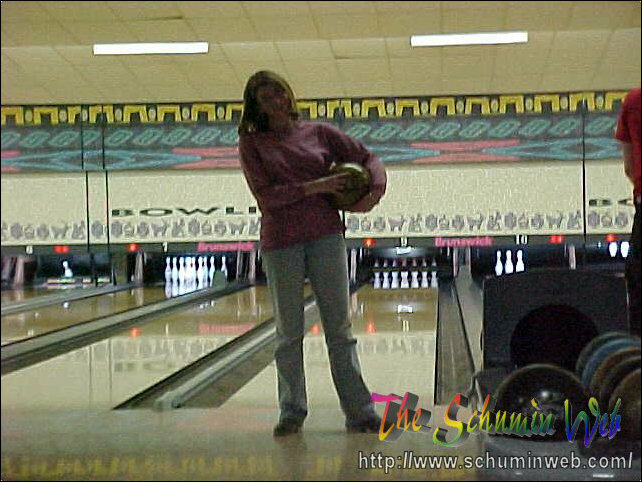 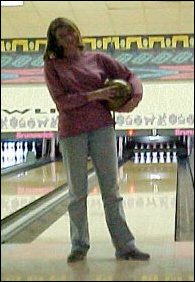 Another glamour shot – Laura Jane prepares to throw the ball, but first takes a moment out to smile for the camera. 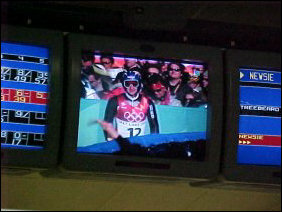 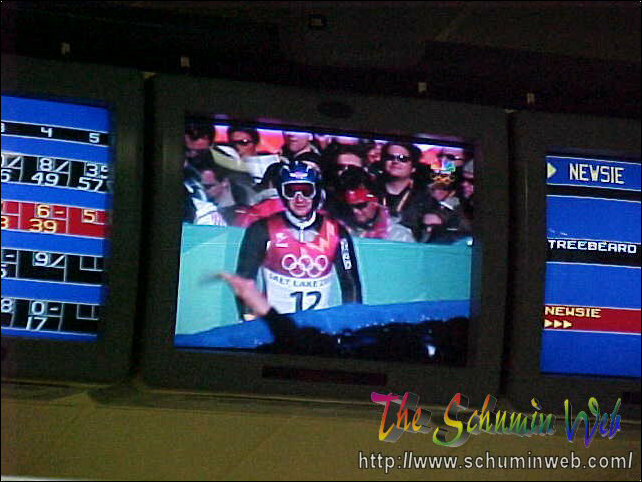 Meanwhile, while all this bowling is happening, the Salt Lake City Olympics are playing on the TV. 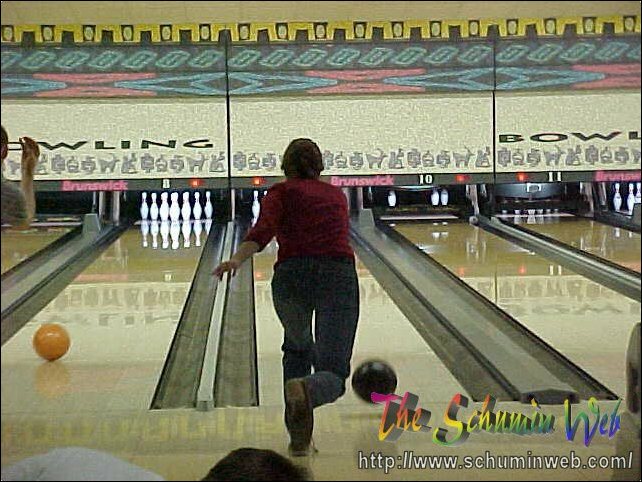 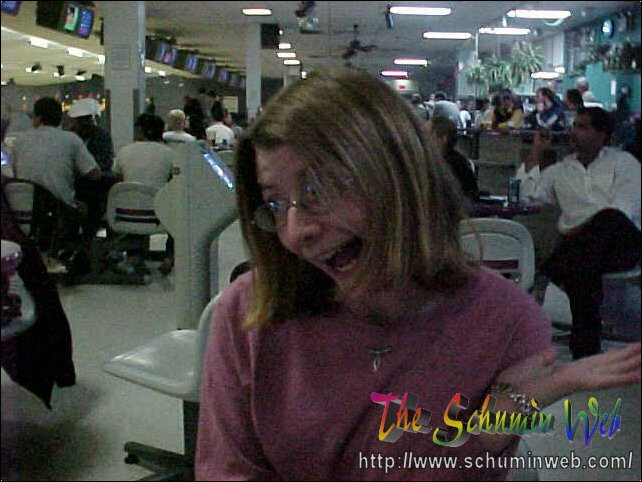 People when they’re bowling get in the strangest positions, best captured by the still camera, and do the strangest dances once the ball is rolling, don’t you think? 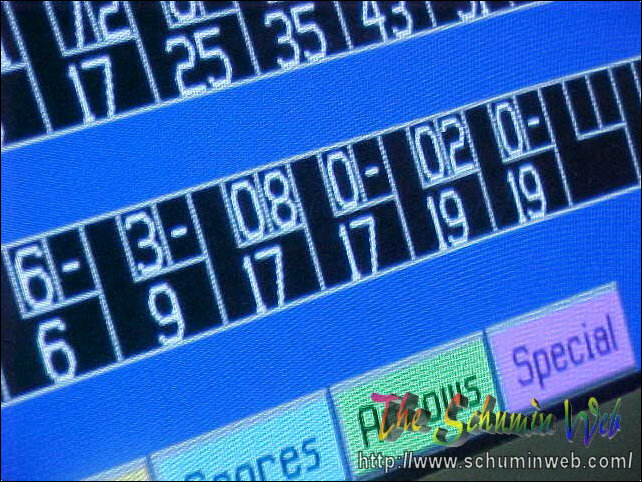 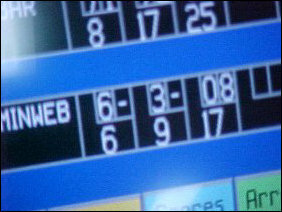 Meanwhile, on my score-bar (shown here), I’m starting to recover from the ill-sized ball (that I couldn’t score with to save my life), by using a heavier ball. 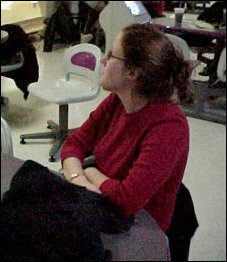 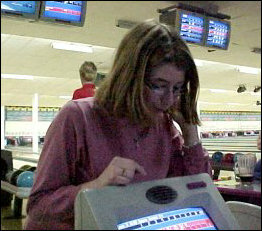 Laura Jane’s doing pretty well, judging by the look on her face, and her own score-bar, where she took the game by storm. 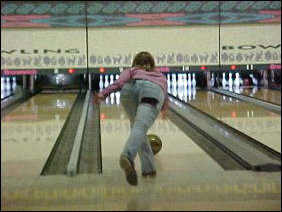 And now Heather is up once again, and finds her ball amongst the sea of other people’s balls. 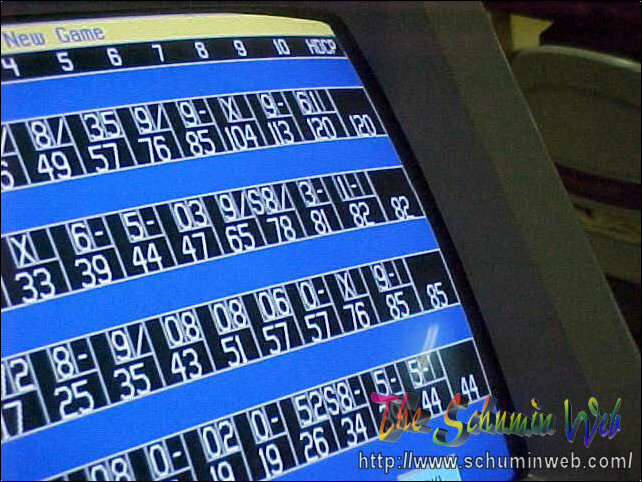 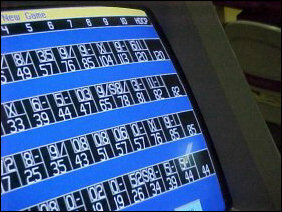 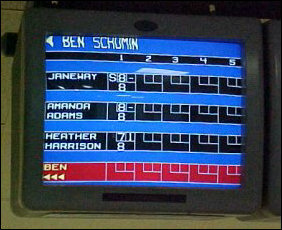 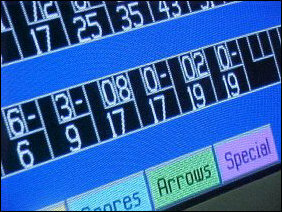 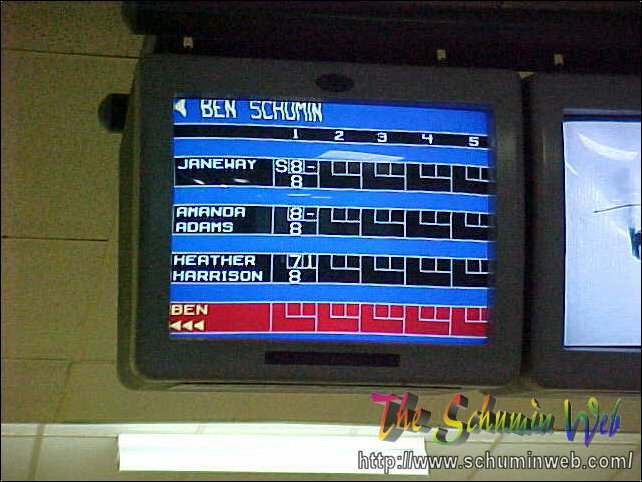 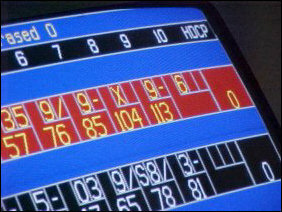 And the final score is… Laura Jane got 120, Amanda scored 82, Heather scored 85, and I scored 44.